Expression. Connection. Healing. Art has always been a vehicle for these necessary components of human health and happiness. Today, Louise and Dan explore how people living with disability have been given the power of art through the Chorus Ability Arts Centre in Mandurah, Western Australia. Let’s talk to some of the artists and hear firsthand what art can do! 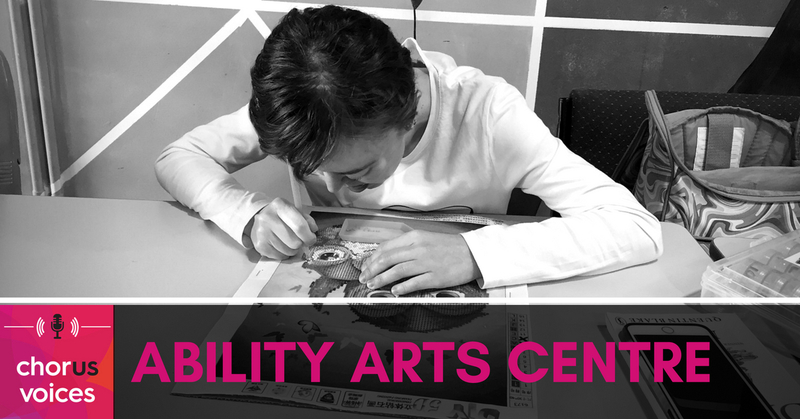 The Ability Arts Centre invites people living with disability to come in and create art in all of its forms. From visual art to pottery, theatre and music – there is an art form for everyone at the centre to enjoy. 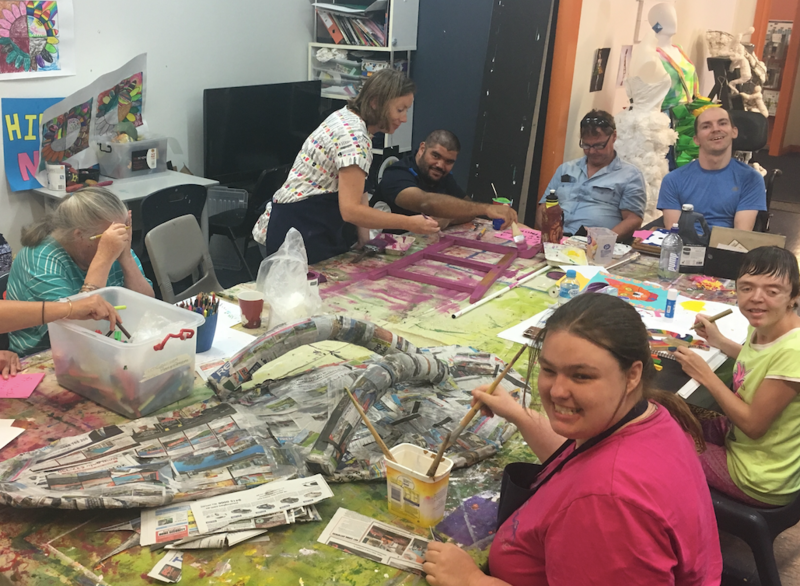 Ability Arts operates out of a small warehouse in Mandurah, Western Australia. When Dan first visited the centre he was overwhelmed by the magnitude of community spirit and the power of what was going on there. Ability Arts is creating a big difference in the lives of the people who take part in the centre’s activities. And of course, in the Chorus Voices way, Louise wanted to go down and hear from the people involved to get a deeper insight into what goes on at the Chorus Ability Arts Centre. 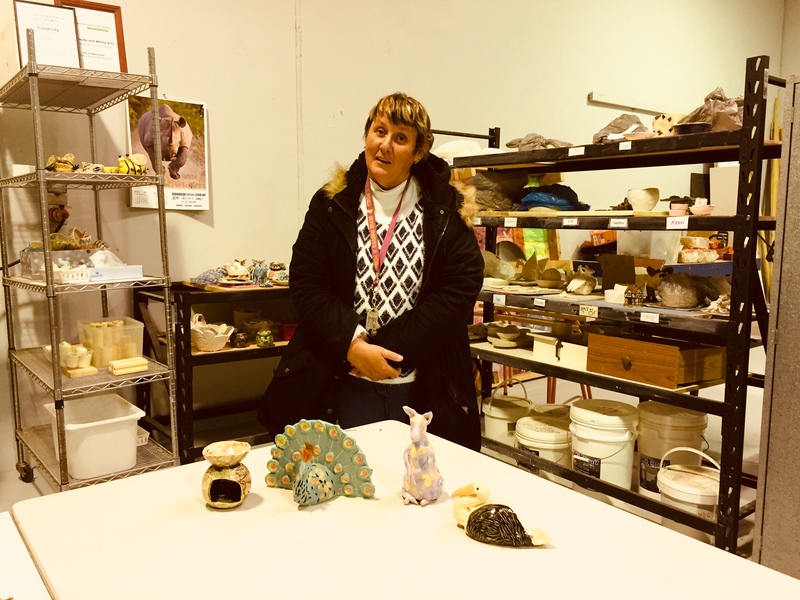 To understand in more depth what goes on at Ability Arts, Louise visits the centre to meet the employees and the artists behind the beautiful artistry produced from the programme. Elli is a pottery teacher at Ability Arts. She believes strongly in the “Act. Belong. Commit” (ABC) philosophy around aiding mental health. The ABC philosophy is to become as active and committed to your community as possible – and she embodies this to a tee. Her pottery class allows people to come together in a group to be creative. The artists at Ability Arts Centre are able to showcase their work and receive regular feedback from the community. Positive feedback is a great confidence booster – but the process of creation is almost more important than the finished art piece. Clay is a very tactile activity. Elli finds that even the more quiet participants in the pottery class find it to be a liberating experience. Through the process, the artists become more connected. Hayley is one of the talented artists involved in the pottery programme at Ability Arts. She walks Louise through the pottery process and shows off a staggering number of her creations. Hayley prefers to tackle harder pottery projects. She uses the iPad to research and find challenging pieces to create herself. Elli often sets her harder challenges to push her pottery abilities to the next level. “I love the whole lot,” she says. Currently, Hayley is creating a pelican while learning the pottery wheel. It’s been her favourite pottery process to date. Caption: Hayley showing off the Corner Shop – populated by some of her creations. Amber is an artist at Ability Arts with another speciality – gem art! Louise sits down with Amber to discuss her favourite things about Ability Arts. The best part about the Ability Arts Programme for Amber is seeing familiar faces every day and making new friends. She’s created two gem art projects so far and is working on her third. When her next gem project is complete, she’s hoping to surprise her pregnant sister with a gift for the baby. The Ability Arts programme is not just producing visual art and pottery pieces – there may just be a music video coming soon! Dan received a phone call several months ago from a supporting musician Jeff, who works down at the Ability Arts Centre. Jeff tells Dan that he’s written a song about Chorus and wants to create a music video for it. The Chorus song is about becoming Chorus and what it means. They’re mid way through the song creation process. Louise went down and collaborated with the team behind the song. “Connection. Creating. New sounds and writing songs,” he says. Jeff notes that everyone involved with the project has loved the process. Plus, the Chorus song is super catchy and well loved amongst the artists! Once the music video is finished, we’ll be making it as widely available as we can, so keep your eyes and ears open! There is a lot of art coming from the Ability Arts Centre, some of which gets bought and enjoyed by the local community as well as by the Chorus community more broadly. 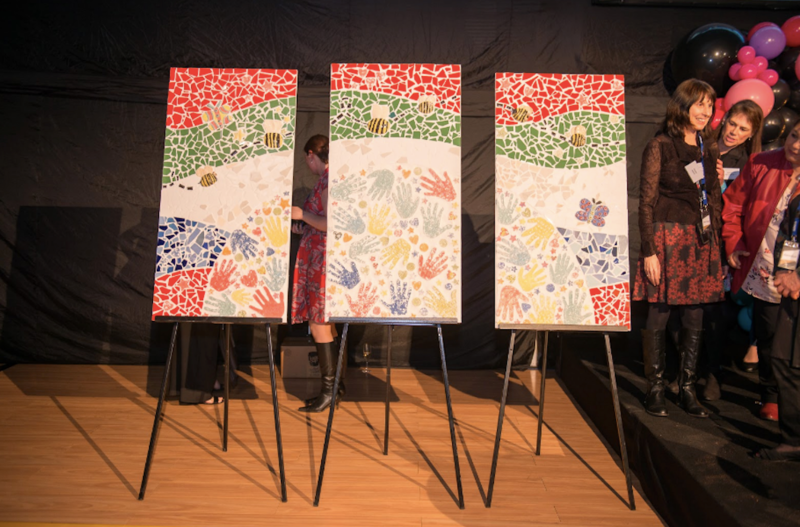 Chorus has thrown a few larger projects at Ability Arts to tackle as well – such as the beautiful mosaic created for the launch of Chorus. A real flagship of the Chorus spirit, this mosaic is a compilation of tiles created by customers, staff and management – by everyone! If you’d like to listen to more about the mosaic artwork check out episode 1 of Chorus Voices. Thanks for tuning into this episode of the Chorus Voices Podcast. If you find yourself inspired by these stories, head to our website and learn more about what we’re doing. If you enjoyed this episode, please pop into Apple Podcast and leave us a review! Thanks for listening, and we’ll see you next time.